Registration is currently open and will close February 15, 2019. See question 15 for Day-Of Registration information. 2. Why didn’t I receive my confirmation email? Sometimes the form will come through to your junk mail. First, please check your junk folder to make sure it was not accidentally placed in that folder. Then check to make sure you entered the correct email in your registration form. 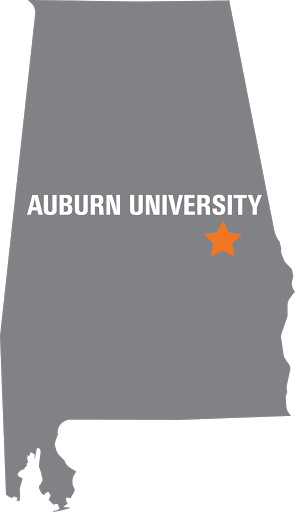 If you still can’t find your registration email, please contact Engineering Student Services at futureengineer@eng.auburn.edu. We will be happy to assist you! 3. Can I participate in E-Day with my student? Do I need to register in order to participate? 4. I have multiple students attending E-Day. Should I register them individually or register them together? Groups with 10 or fewer students must register each student through the individual registration link. Groups larger than 10 students can register through our group registration link. 5. I need to add more students to our group registration, how can I do that? 6. How will groups receive their packets for the students that are registered? Every group registered will receive a box with packets for every student registered. These packets will include: E-Day backpack, pen, folder, event map, schedule, engineering factsheet, and an attendance verification form. 7. I am driving a car, where can I park? 8. What will I receive at check-in? If you have pre-registered online, you will receive: an E-Day backpack, pen, folder, Engineering factsheet, schedule of events, event map, and attendance verification form. 9. Where can my bus drop off students from my school group? All students who are pre-registered will receive a packet at check-in. This packet will include an attendance verification form to turn into their school. If your student needs a signature for an already existing form, please find a staff member wearing an orange shirt at check-in, and we will provide you with a signature. 11. Will breakfast and lunch be provided? 12. If we arrive late can we still participate? Absolutely! Department displays will end at 12 PM, and the last tour will depart at 1 PM. We recommend students getting to campus no later than 10:30 AM so students can experience all that Auburn University E-Day has to offer. 13. How can I request accessibility services? We ask that you contact the Auburn University Office of Accessibility at https://accessibility.auburn.edu/cm/jauntscheduling to schedule a golf cart ride for E-Day. 14. Where can we cancel registration? We hate you cannot make our annual E-Day, but we understand things come up! Please contact our office at futureengineer@eng.auburn.edu, and we will help you cancel your registration. 15. Registration is now closed. Can I still attend EDay? Absolutely! We will have a day-of registration table for your student to fill out a registration card. Pre-registered students are guarenteed an E-Day backpack, while day-of registration backpacks are given on a first come first serve basis.